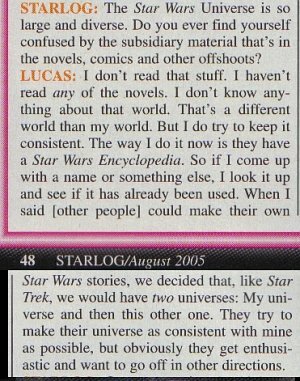 I've decided to go ahead and move forward with finishing up the canon page rewrite even without the Starlog magazine in-hand. I am working on getting that done today. 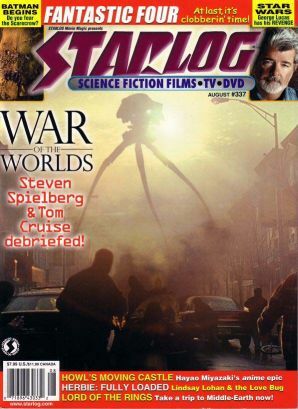 Speaking of the Starlog, here's the story of it as recounted to PayPal and any eBay user who wants to deal with the devious scoundrels I tried to buy it from. With sustained winds reported at 95mph (152km/h) and gusts to 125, my area got schooled but wasn't hit nearly so bad as the Mississippi Gulf Coast. Some of my friends there have lost everything. Getting information in this area has been limited, but with the restoration of power and internet over the past couple of days I've finally managed to get a better handle on what's going on, and of course to see the inevitable spin doctoring of politicians, journalists, and pundits. The only part of the hurricane that is a "national disgrace" is the behavior of some in New Orleans who have abandoned all pretense of law or logic. I can certainly understand the police overseeing the gathering of supplies from a closed store, and even the raiding of a closed store for food and medical supplies if you have none, but people looting stores for TVs and Nikes are simple thieves. And frankly, when I heard that idiots were shooting at the rescue helicopters, my first thought was that they should just send in Apaches. Yes yes, I know that a lot of the people who were left in New Orleans were "disadvantaged", lesser-educated, and so on, but that's no excuse for shooting at the damned rescue chopper and you can't pretend that it is. We have an army for use against enemies foreign and domestic . . . I have no problem with its use in the latter case against street thugs trying to prevent rescue operations. This hurricane was a historic event, and frankly I'm glad to have seen it with my own eyes. To my knowledge everyone I know in the affected areas is alive and well, and I personally suffered no appreciable damage. I think that's about the best outcome that anyone could hope for.